Considering ​moving to the ​C​loud? Here's five ways that can help stimulate your business. Offering significant cost savings, increased collaboration and painless cloud backup, cloud technology can really help your business. 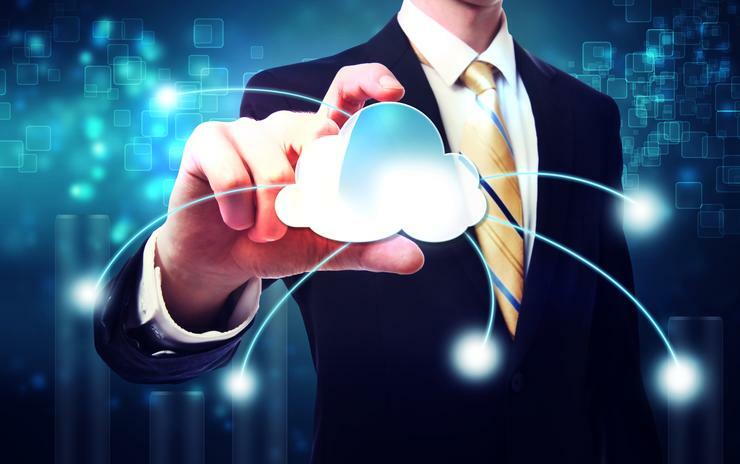 If you're weighing up the pros and cons of moving to the cloud, here's a look at five important ways the cloud can help stimulate business growth. Cloud-based systems allow for universal access, 24 hours a day, seven days a week. This ability to collaborate anytime, anywhere can give your business a competitive edge. According to a new report by Harvard Business Review Analytic Services, 72 per cent of the respondents said collaboration was a top benefit of investing in cloud technology. In the report one survey respondent said "that cloud allows business operations to more quickly share information and work cooperatively, while another noted that cloud has given the marketing department the ability to work more closely with engineering, sales and the service department". Do you run a virtual office? The good news is that the cloud can bring together employees and contractors in multiple locations in real-time. Using a variety of cloud-based services and collaboration tools, employees can set up meetings, pitch ideas, give feedback and share documents wherever they are – be it in the office, at home or on the road. Providing your business with the latest technology in a pay-as-you-go model, cloud computing eliminates the need for large capital outlay and relieves your organisation of the burden of having to manage your own servers and hardware. With the cloud, you only pay for what you use, making it easy to scale for growth and meet the growing demands within the business. Running your own IT department can be expensive and time-consuming. By outsourcing your data management to a reputable cloud service provider, you'll have instant access to the latest hardware, technologies and specialised expertise. Furthermore, your cloud hosting company provides all the redundancy, security and backup for your data, significantly lowering the risk of data loss and downtime. Today's office is more mobile than ever, as employee use their smartphones, tablets and laptops to perform a wide range of everyday work tasks. Studies consistently show that employees who have flexible work arrangements are more productive and satisfied with their jobs, and experience a lower turnover rate. BigAir cloud-based solutions give your employees more flexibility and options, helping your business succeed. Find out more in this easy to read guide on how you can maximise success when it comes to securing IT investment to promote business growth. You can also follow BigAir's Linkedin page to keep on top of the latest developments in business connectivity.